Below you can view all the homes for sale in the Saddle Creek subdivision located in Roswell Georgia. 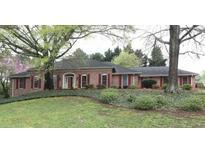 Listings in Saddle Creek are updated daily from data we receive from the Atlanta multiple listing service. To learn more about any of these homes or to receive custom notifications when a new property is listed for sale in Saddle Creek, give us a call at 404-998-4017. 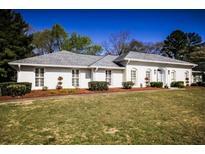 Truly A Lovely Family Home And An Entertainers Dream! MLS#6537407. Atlanta Communities. Spacious Home Features Updated Kitchen With Island And View To Family Room, Large Master Bedroom With Updated Bath Featuring Seamless Shower And Garden Tub, Secondary Bedrooms With Jack N’Jill Bath And Large Closets, Sunroom Overlooking Fenced Private Backyard, Hardwoods On Main; Daylight Basement Features Bonus Room With Fireplace, Bedrooms And Full Bath, Room For Workshop; Spacious Lot, Almost 1 Acre With Room For Pool! MLS#6532721. Keller Williams Rlty, First Atlanta. It Has Been Featured In Dozens Of Architecture Digests. MLS#6532334. Atlanta Communities. Very Active Swim Tennis Community In Great Roswell Location. Agent Is Owner MLS#6528568. Palmerhouse Properties. The Entertainment Room Downstairs Is Perfect For Movie Lovers. MLS#6523226. Coldwell Banker Residential Brokerage. Award-Winning Schools, Minutes From Downtown Historic Roswell Or Shops Of Crabapple/Milton. Optional Swim/Tennis Hoa Packages Available. MLS#6523997. Keller Williams Rlty Consultants. Run, Dont Walk To This One! Hoa Is Optional. MLS#6519467. Century 21 Results. Voluntary Hoa Which Offers Swim And Tennis. MLS#6515652. Keller Williams North Atlanta. Convenient Location & Top Ranked Schools! This Home Will Not Disappoint! MLS#6502301. Century 21 Connect Realty.